The new Students’ Union officer team has been elected, with the lowest voter turnout since 2012. Only 3601 students voted, compared with the 4725 votes cast in 2015’s election. A bustling Mandela Hall played host to the results, with returning officer Georgia Psarrou revealing the winners in quick succession. All six of the newly elected full-time officers are female and, for the first time, two of the part-time officers are non-binary. Annie Pickering is the new President, elected with a majority of 227 votes. President-elect Annie Pickering said divestment from fossil fuels is her first priority. However, it may happen before Pickering takes office in September: the University’s Finance and Investment Committee met to discuss the option today (4th March). Pickering said the people who voted for her were most excited about her ideas to build a waterslide on result’s day and to bring the Big Lemon onto campus. She said people were also excited by her colourful jumpers. Pickering attributed her success to “being out there every second”, having a “half-decent manifesto” and engaging with international and postgraduate students. Annie Pickering, right, celebrating with friends. 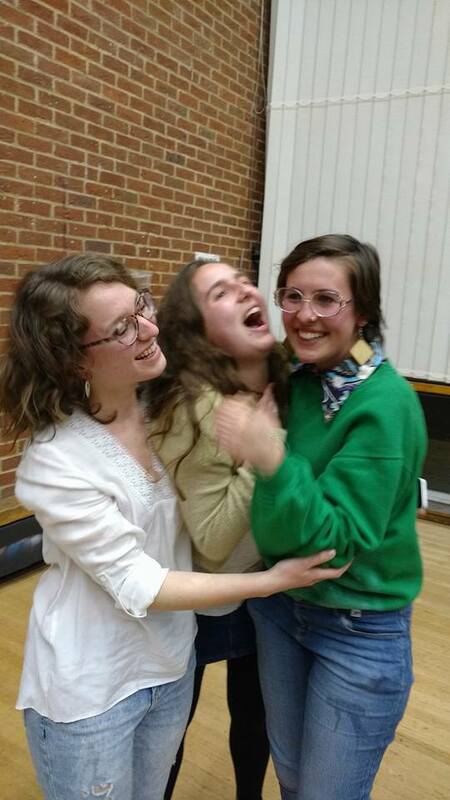 Adele Duvilier was elected the new Activities Officer, with a narrow margin of 26. Rose Taylor was returned as Postgraduate Education Officer, with a majority of 596. Taylor said that there was “no one thing” that wins a campaign, but she in part attributed it to undergraduates “realizing how important [the role] is and how it affects them”. Sevenzo, who won the position of Undergraduate Education Officer with a majority of 332, based her manifesto around “decolonising the curriculum”. However, there are still few Black and Minority Ethnic students elected. Asked for her feelings on this, Savanna said: “this year was better than last in terms of diversity. Latisha stood for president this year. “The idea of me standing was to contest that idea, and I was inspired by other people of colour, and also by all of the officers at the moment. The Women Students Officer is Frida Gustafsson. The Ethnic Minority Students Officer is Nishad Sharma. President Abe Baldry said he was “disappointed that the number of students voting [had] fallen following a period of growth in voter numbers”.